This course will cover every topic and minor details that may appear on the CPCU® 530 exam. This course is updated according to the latest edition of the CPCU® 530 exam, this course is up to date with the current content of the exam. Pass your CPCU® 530 exam using our Comprehensive Online Course or your full money back, guaranteed. If you don’t pass your exam using our Comprehensive Online Course, we will issue you a full refund for the cost of the program. Stop wasting your time studying. It’s time to pass in less time with less studying. Pass the CPCU® 530 exam in just two weeks of studying (with a 99% pass rate). MEMORIZE THE DEFINITIONS – A section for each chapter dedicated to helping you memorize the definitions. (the hardest part of the CPCU® 530). Including a unit and quiz of each chapter dedicated to reviewing the most important definitions of the chapter, ensuring you grasp the primary concepts (there are 600+ legal definitions required for this exam). 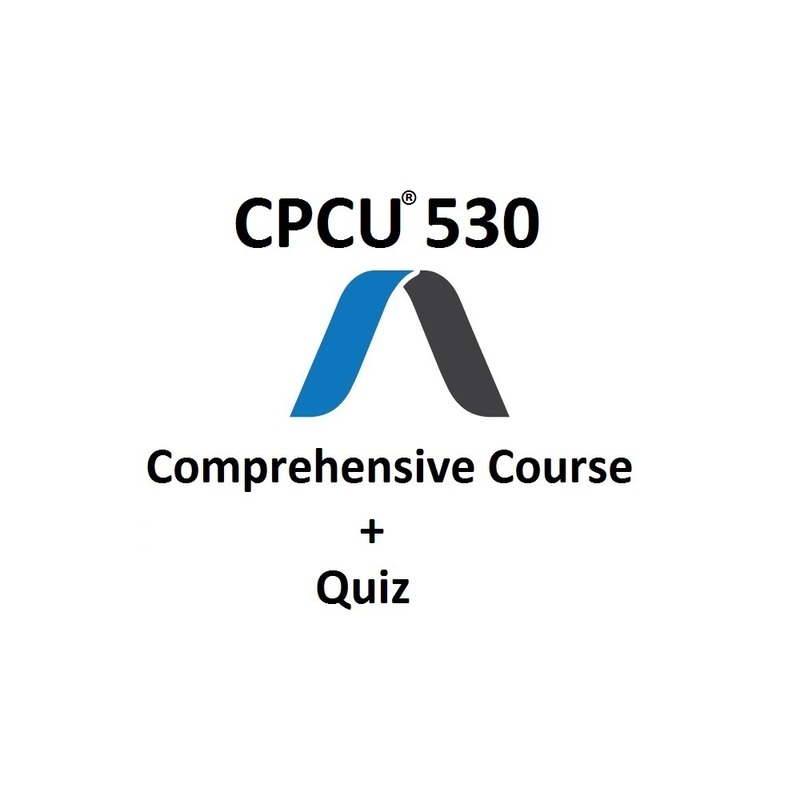 350+ PRACTICE QUESTIONS – Quiz questions for each topic of the CPCU® 530 exam to ensure you grasp the main concepts. 2 COMPLETE PRACTICE EXAMS – 85 questions each, formatted exactly like the actual CPCU® 530 exam (with the same number of exam questions) to give you a “real exam” feel. CPCU® INSIGHT – Course includes our insight detailing what to expect from each chapter on the CPCU® 530 exam, detailed answer explanation of each quiz question, and our personal email support to provide advice on any question or exam topic. 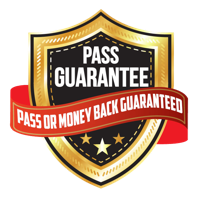 MONEY BACK GUARANTEE – Pass the CPCU® 530 exam with our Comprehensive Course or your full money back, guaranteed. A: The major benefit of our online course is that each section and question was handcrafted by a CPCU® expert that has passed the CPCU® 530 exam, meaning we know exactly which topics are important and how the questions are formatted. By replicating the questions as closely as possible to the actual CPCU® 530 exam, we give our course and practice exams a “real exam” feel, helping our users better prepare for their exam. What was the best part of the course? All of it. There’s a lot of definitions to navigate through but the course breaks it down well. Best part is the vocab. Some typos and missing info from the actual test. 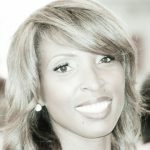 Thank you for creating these guides for the CPCU exams. The 530 is especially hard and I appreciate your effort to cut the fluff and lay it out well. Thank you for all of your help. 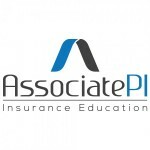 After failing twice studying independently using the institute materials… I decided to try Associate Pi ..this course was easy to follow and the questions at the end of each segment helped me grasp the concepts with easy . I will be ordering CPCU 540 next. Thanks very much Jake for all the encouraging emails and bonus info…cheers! I started this course after 3 times failure of CPCU 530. I had studied with the official textbook and the online course. I felt the official textbooks were also not-bad, but sometimes felt some of the explanation ambiguous. On the other hand, the CPCU comprehensive course of API provided clearer stories and is easy to look up the topics. Yesterday, I passed the exam. Thank you very much! I passed my CPCU 530 Law test!